There's another artist that has been doing quite well in the charts and he managed to take home a large number of Grammy's this year. That would be Sam Smith. Now enter in 2 additional musicians. Sam Tsui and Casey Breves. 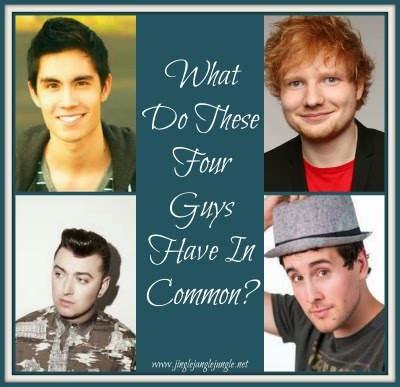 These 2 musicians (Sam Tsui and Casey Breves) have sat down and combined Ed Sheeran's "Thinking Out Loud" and Sam Smith's "I'm Not The Only One". The end result is absolutely brilliant! What do you think? Did they do a good job or what?